We’ve been fortunate enough to learn from many of the most talented trainers and handlers across the country, including well-known greats like Rick Smith and Eddy Taylor. From there, we’ve built a program that we truly believe in. Our training program ensures a solid foundation of handle, experience, and repetition. 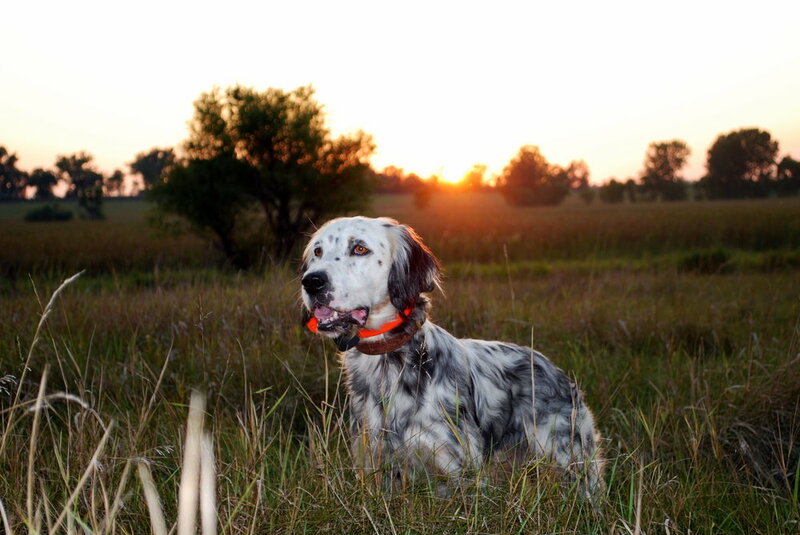 It is our goal to guide dogs into situations where they can be successful through repetition until they develop into seasoned hunters and pointers.We want to give them a well-rounded training so that they can become proficient at finding birds, reading cover, and are mature enough mentally to succeed. Around 12-24 months of age, we begin the breaking process; during this time, we begin to start using verbal commands with dogs. Once we feel the dog has enough preliminary training, we take them out. It takes wild birds to make a bird dog. 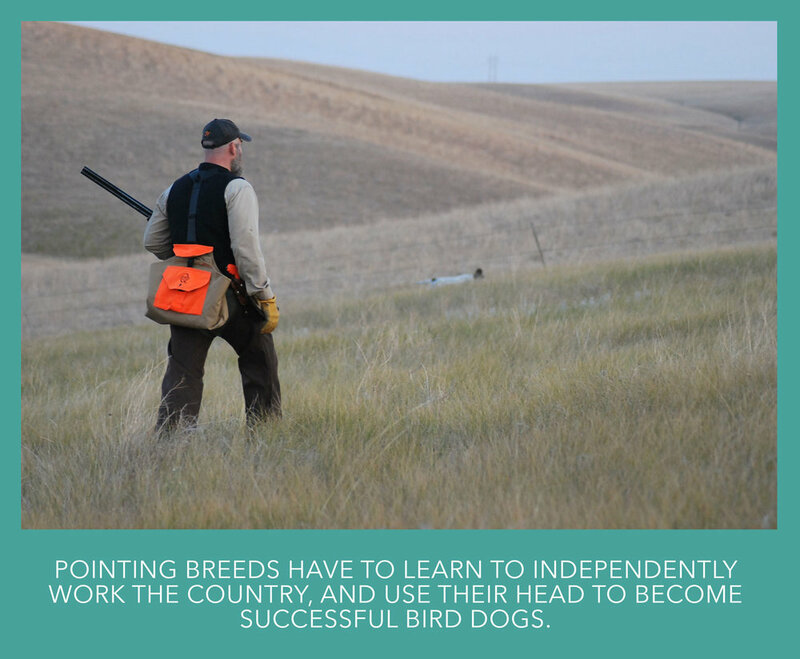 Eventually we won’t be with our trainees, so pointing breeds must learn to work independently in the field in order to become successful bird dogs. Our number one priority is empowering our clients to maximize the enjoyment that they get from their dogs. While training dogs is our passion, we were trained as educators and mentors and want you to learn with us. If you’re looking for opportunities to better understand your dog or better understand your strengths and abilities as a handler, we offer train-the-trainer courses for clients of all ability levels; we even have some events that are taught exclusively for women by women.